1.6M Giant Huge Big Animal Brown Bear Material: Synthetic Polyester, PP Cotton Product dimensions (L): 160 cm Package dimensions (LWH): 60 x 35 x 35 cm Weight: 4kg Features l Guaranteed to make a BIG ..
Material: latex and plastic Product dimensions (LWH): One set 21 x 6 cm Package dimensions (LWH): 16 x 24 cm Weight:30g Features Made of eco-friendly latex and plastic. 1 set with 3 packs of 37 (approx) ,self trying and easy to use. These wa..
1M Giant Huge Big Animal Brown Bear Material: Synthetic Polyester, PP Cotton Product dimensions (L): 100 cm Package dimensions (LWH): 50 x 30 x 30 cm Weight: 2kg Features l Guaranteed to make a BIG im.. Features: Charging Time: About 100min Flying Time: About 5min Frequency: 2.4GHz Gyro: Build-in 6 Axis Gyro Camera Pixel: 300000 Pixels camera Control Distance: About 50m Copter Battery: 3.7V 380mA Battery Control Battery: 4 x 1.5V..
2.6M Giant Huge Big Animal Brown Bear Material: Synthetic Polyester, PP Cotton Product dimensions (L): 260 cm Package dimensions (LWH): 90 x 50 x 50 cm Weight: 14kg Features l Guaranteed to make a BIG.. 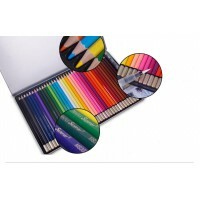 Features: High quality watercolor pencils for writing, drawing pencils, and sketching. 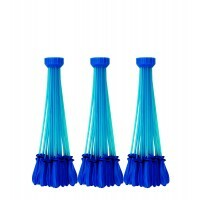 Brilliant colors, easy to sharpen. Watercolor pencils are artist coloring pencils for every level of expertise. Add a few drops of wa..
2M Giant Huge Big Animal Brown Bear Material: Synthetic Polyester, PP Cotton Product dimensions (L): 200 cm Package dimensions (LWH): 80 x 40 x 40 cm Weight: 10kg Features l Guaranteed to make a BIG i..
Material: ABS, Steel Product dimensions (DH): 76 x 75-85 cm Package dimensions (LWH): 78 x 85 x 8 cm Weight: 6kg Features Strong steel construction Pressure mounted - Easy to install and remove Adjusts to fit openings from 75cm t.. Features: Add an extra touch to your wooden outdoor playset Smooth, 1-piece molded-plastic construction Easily attaches to deck heights up to 60cm Weight Limit: 40 kg Material: Plastic Product dimensions(LW): 120 x 36.5 cm .. Turn Any Ordinary Wall Into A Fun Writing Surface!Sticks To Any Wall And Peels Off Easily, No Residue!Perfect To Use For Grocery Lists, Menu, and for Kids! 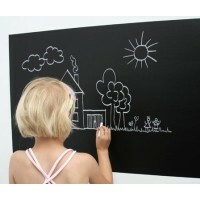 Features: Includes 2 Chalk 1 white 1 pink Easily cuts to any sh..